Mouse anti Human IgG2 F(ab')2 antibody, clone HP6200 recognizes human IgG2, binding to an epitope in the F(ab')2 region incorporating the proline residue (AA 234). Jefferis, R. et al. (1992) Evaluation of monoclonal antibodies having specificity for human IgG subclasses: results of the 2nd IUIS/WHO collaborative study. Immunol Lett. 31 (2): 143-68. Harada, S. et al.  (1989) Evaluation of production and characterization of monoclonal antibodies to human IgG of four subclasses. Microbiol Immunol. 33 (7): 579-92. Harada, S. et al. (1991) Identification of epitopes recognized by a panel of six anti-human IgG2 monoclonal antibodies. J Immunol Methods. 141 (1): 89-96. Harada, S. et al. (1992) Hinge region of human IgG2 protein: conformational studies with monoclonal antibodies. Mol Immunol. 29 (2): 145-9. Findlow, H. et al. (2006) Immunoglobulin G subclass response to a meningococcal quadrivalent polysaccharide-diphtheria toxoid conjugate vaccine. Clin Vaccine Immunol. 13: 507-10.